Need a glimpse into the future? We can help! 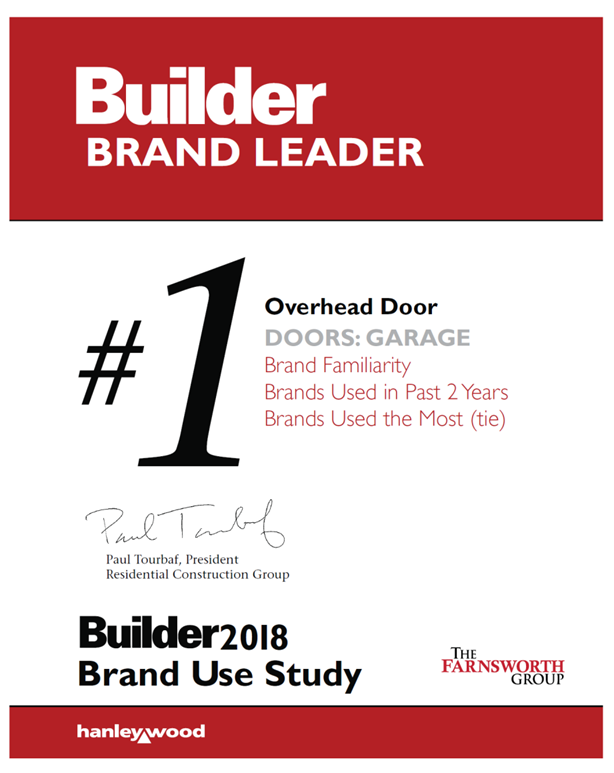 Most homeowners only purchase a garage door once or twice. Once probably because someone hit it and it's cheaper to replace than repair; and the second?... It could be because they want to enhance curb appeal and design of their home or perhaps their realtor recommended it. Either way, we make it easier to get a glimpse of the future. With Overhead Door’s DoorView app, you can design your dream garage door as well as get the most return on their investment by adding value to your home. Yes, a garage door can do all that! the top manufacturers and products that are the best fit for builders’ current needs. Group, product performance and desirable features are the top two priorities in product selection. volumes across 51 building product categories. Used Most and Highest Quality.